Sweet as cocoa is a Mauve/ light Plum colored blush with slight shimmer. Once applied onto the cheeks the shimmer is not visible. Prep and Prime highlighter is great for highlighting (under the eyes, bridge of your nose, cupids bow and chin) the shade I picked up is called Bright Forecast and it has a yellow undertone. 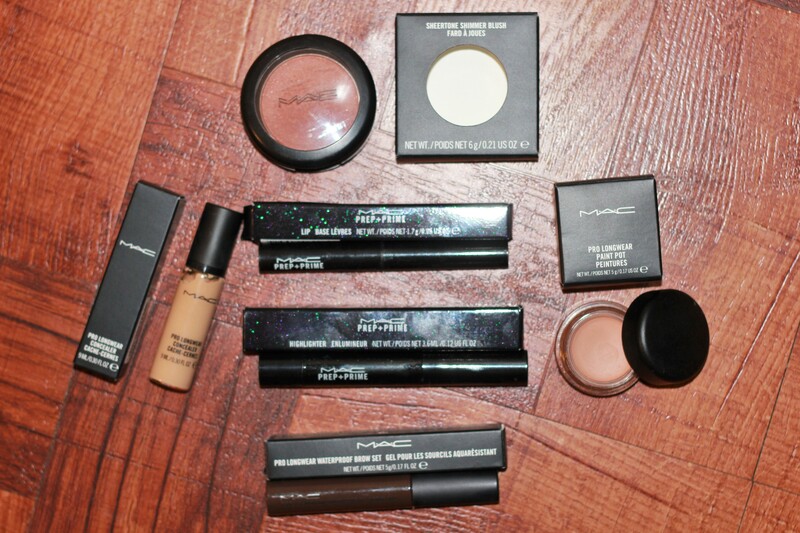 Pro-longwear waterproof brow set has got to be my most favorite product out of the bunch. Your brows will not be going anywhere after setting them with this long lasting and highly pigmented product. Pro-longwear paint pot in Layin’ low is an eyeshadow base which will help your shadows adhere much better to your eyelid. I love to sometimes just wear the base alone because this shade matches my skintone perfectly and it helps my eyelids not look as greasy. 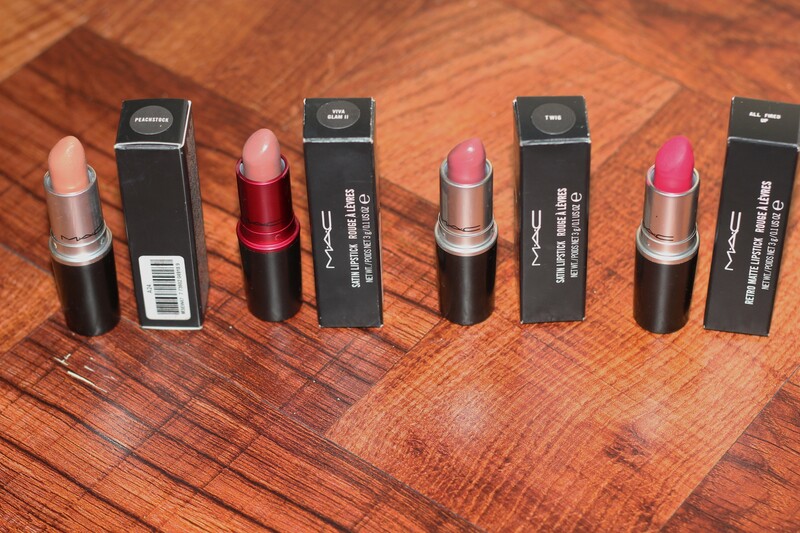 What are some of your favorite MAC products? Share down below! 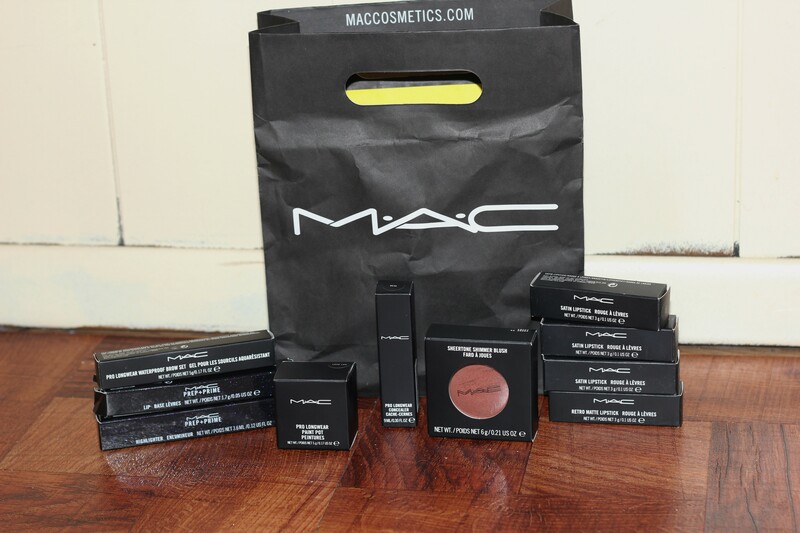 These items can all be found at your local MAC store, department store counter or online! 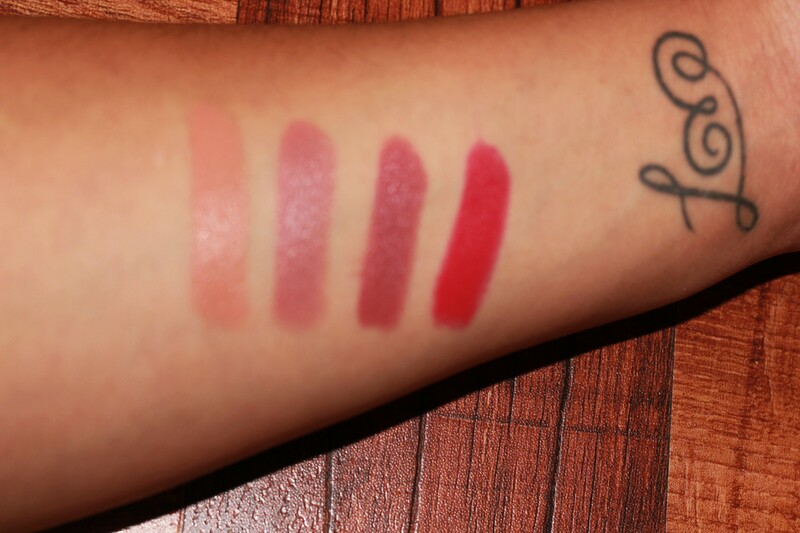 The Viva Glam II is so pretty you’ll love it. Russian Red is one of my favorites! Never tried Plumful and Diva (might check them out on my next trip) I too have heard great things about Melba. Thanks for sharing Katie! You’re welcome! 🙂 Thanks for posting this.